This photo was taken towards the end of a long day. Right after school we started almost immediately... costume, make-up, hair, etc. Then the photos started. This was dress rehearsal at the studio and I took many photos trying to get just the right one. This scowl only frustrated me. When I got home and reviewed the photos I realized that this picture really captured the moment. I know should the children ever become famous they will have no problem with paparazzi... they live it on a daily basis. 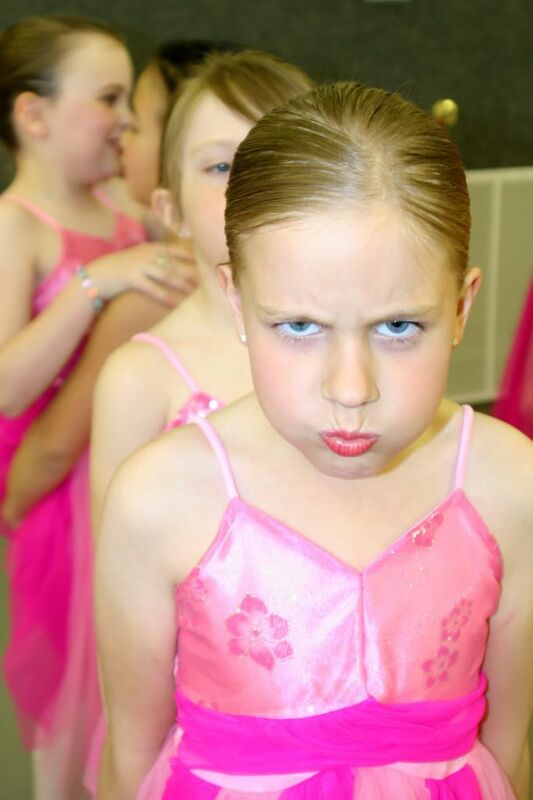 I've tried to venture out to other venues from time to time, but my kids are such wonderful subjects, scowls and all! !